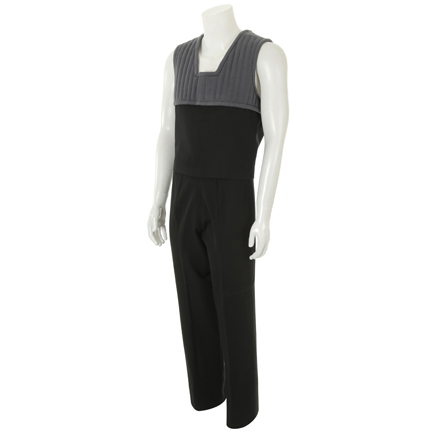 This Star Feet uniform was made for Patrick Stewart (Captain Picard) to wear in the 1996 franchise installment “Star Trek: First Contact”. 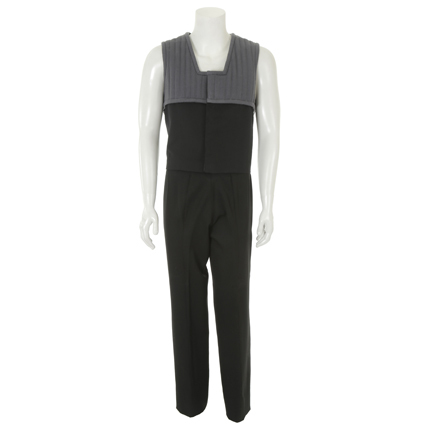 This costume was custom made and altered specifically for Mr. Stewart. 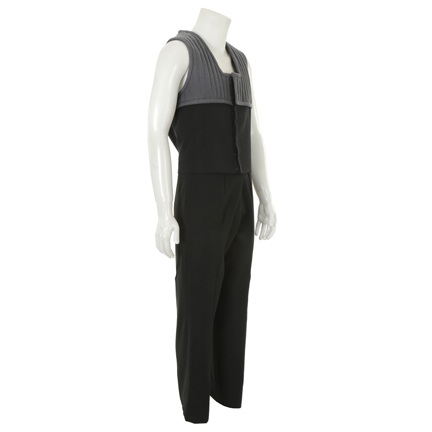 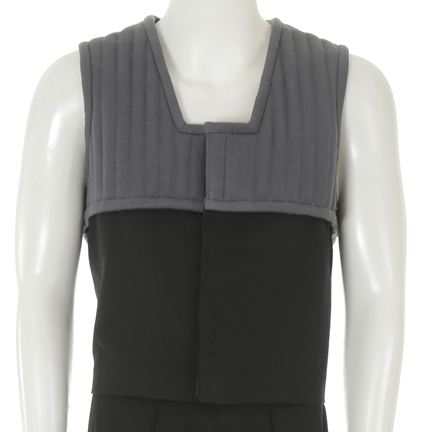 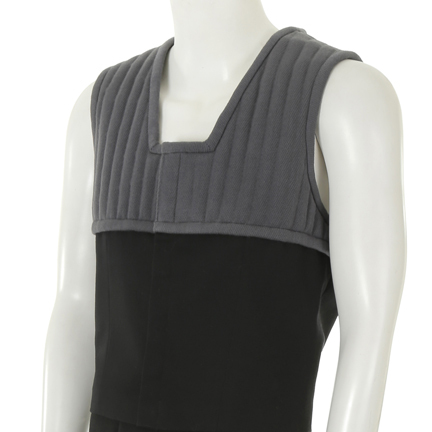 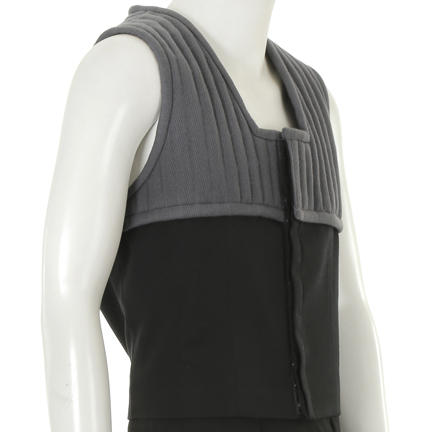 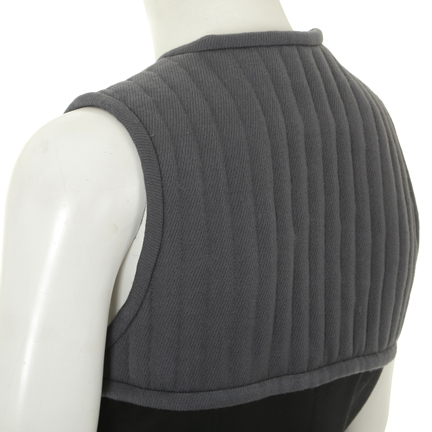 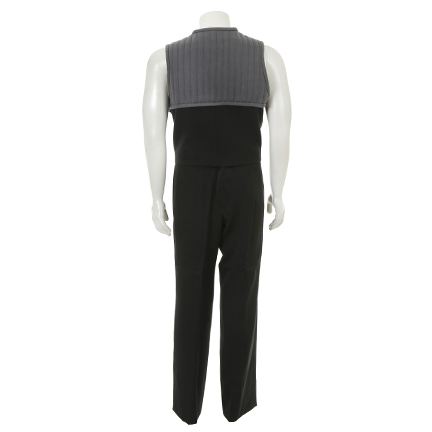 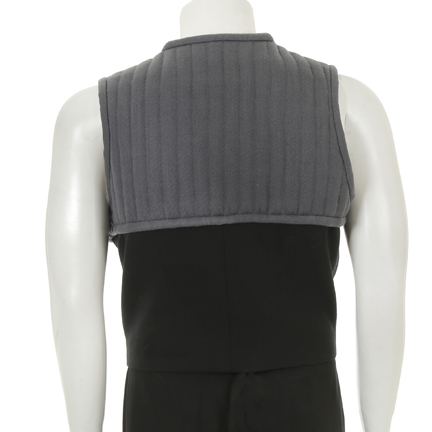 The signature style uniform has a vest with grey ribbed woven top half and black cotton bottom half with a multi-button front closure and a pair of black cotton pleated pants with rear zipper and hook-and-eye closure. 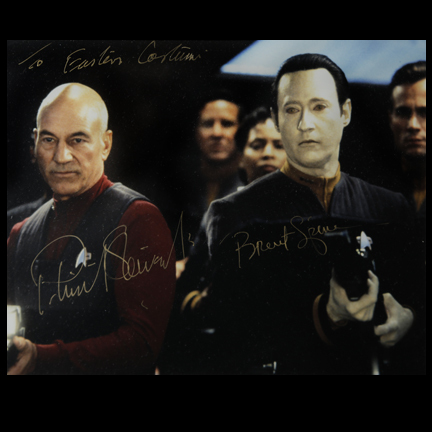 Production performed a photo test with Mr. Stewart and other principle actors wearing the uniforms. 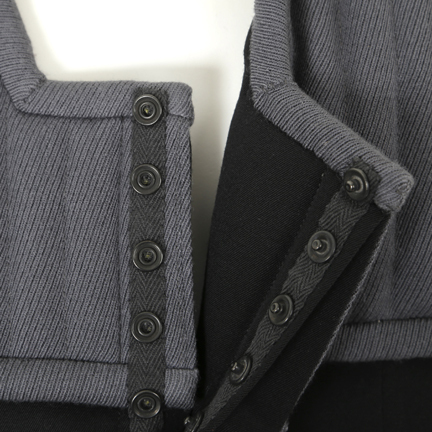 The fabric and cut of the uniform did not read well on camera and production ultimately decided to remake all of the principle costumes in a more contouring material.